Take Back the Night! – WELCOME! 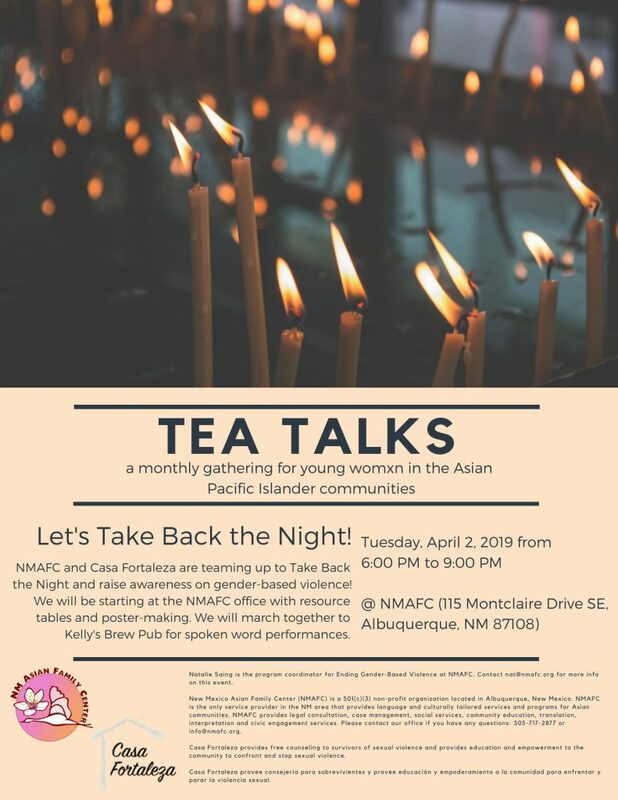 Please attend this event which honors those impacted by gender-based violence led by the collaboration of New Mexico Asian Family Center and Casa Fortaleza.